Cleveland Print Room's Teen Institute Presents: Instant Foto (IF) Exhibition featuring artwork by students from the City of Cleveland at Cleveland’s premiere center for the photographic arts. The IF show will feature new student work from the program's on-going year-round project. IF focuses on mastery of photographic skills, techniques, and concepts, along with visual literacy as its base. Come see the students’ portraiture work that was a focal point of study this semester! Over 100 students' work will be displayed and available for sale. Artwork created by our Digital Photography class held at Tri-C Metro will also be on display and for sale. See event here. Thanks to the Cleveland Foundation & Fowler Family Foundation for their support. We appreciate continued sponsorship from Lomography NYC and Unique Photo as well. 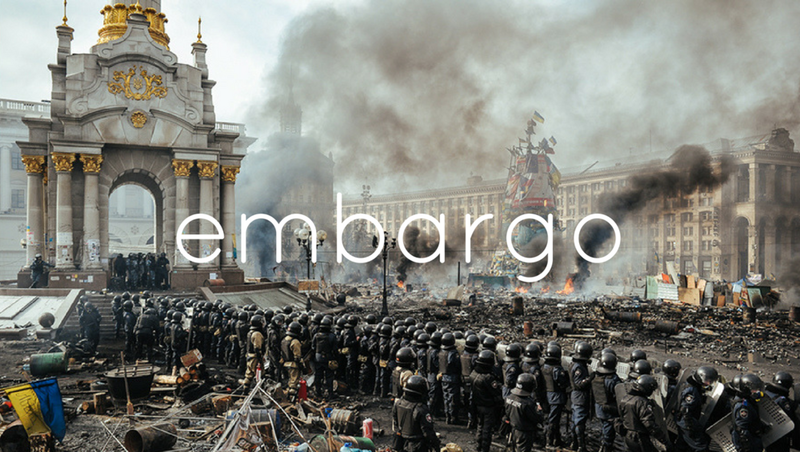 Cover photo by Layla from Campus International. 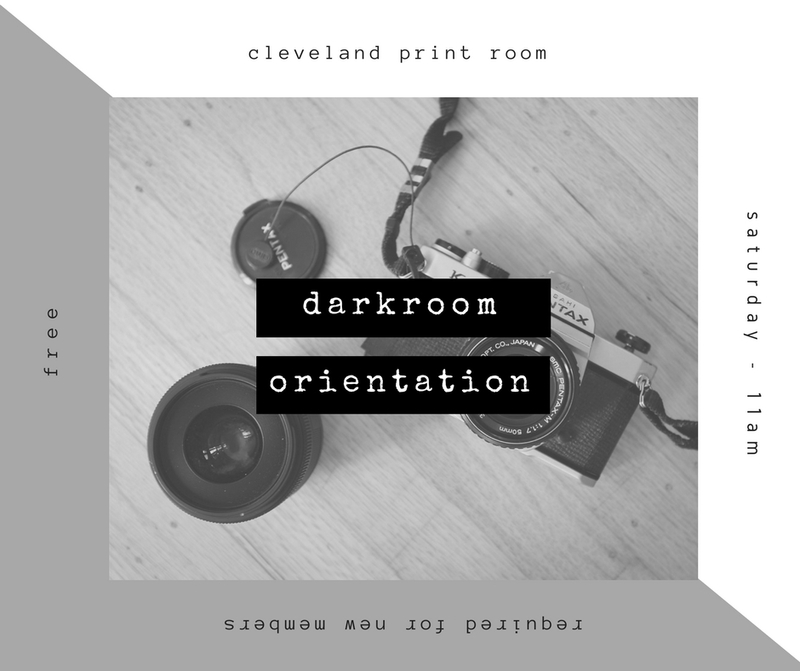 Cleveland Print Room's Teen Institute Presents: Digital Photography Exhibition featuring artwork by students from the City of Cleveland hosted by Cuyahoga Community College. This show will feature new student work from the NEW program's Fall 2018 and Spring 2019 semesters. CPR's Digital Photography program focuses on mastery of photographic skills, techniques, and concepts, along with visual literacy as its base. Come see the students’ portraiture work that was a focal point of study this semester! Over 40 students' digital work will be displayed and available for sale. Artwork created by our Instant Foto program will also be on display and for sale. See event here. Thanks to the Cleveland Foundation & Fowler Family Foundation for their support, and Tri-C for use of their incredible facilities. We appreciate continued sponsorship from Dodd Camera and Unique Photo as well. Cover photo by Enahjae Beasley. Cyanotype is a traditional blueprint process that creates vivid prints in pure Prussian blue. During this afternoon workshop, students will learn the process from start to finish. 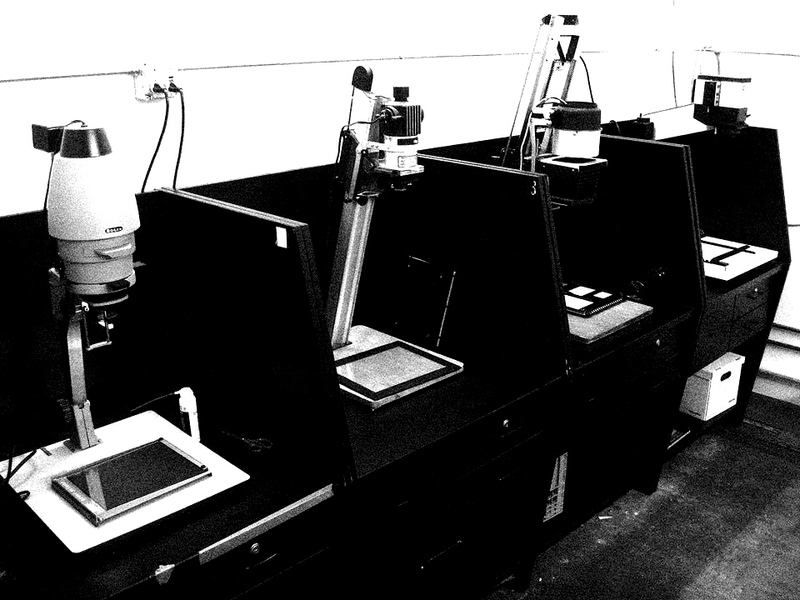 Our studio library will be utilized, mixed media will be explored, and students will create a series of cyanotype prints. This workshop is taught by Melinda Placko, a working artist at the Hildebrandt Artist Collective, and a teaching artist at Art House Inc. Placko has her BFA from the Cleveland Institute of Art, and MFA from the University of Massachusetts Amherst. Her artwork combines drawing, painting, collage and cyanotype. Ethiopian photographer and photojournalist, Micheal Tsegaye is the Cleveland Print Room’s Creative Fusion International Artist-In-Residence for this project. Tsegaye will transform the Cleveland Print Room Gallery into the Cuyahoga River and its crooked bends from aerial photos and photographs from the riverbed. Join us for the opening of this exciting exhibition Friday, June 21, from 5-8pm. All of the students will have their work displayed in the culminating student showcase exhibition at CPR's gallery on Wednesday, April 17 from 5 to 8pm. Additionally, this May, work produced by students will be put on exhibit for one year at the Ohio Civil Rights Commission offices located in Columbus, Ohio. Cover photo by Destanee Cruz. This class is for anyone who needs instruction on getting started with hand-processing and printing B&W film, or for those who would like a refresher course after a long absence from darkroom work. This course is a comprehensive, intensive one-day course. The session will cover B&W film developing and printing contact sheets of the negatives, plus printing photos from negatives in the darkroom. Students should bring TWO rolls of shot standard B&W film to the class -- preferably 24-exposure rolls of the same 35mm film. Students will also need to bring a package of photographic paper. Participants can bring lunch or take a lunch break in the neighborhood. Please call with any questions. Please contact emilie@clevelandprintroom.com or call (216) 802-9441 with questions. REGISTRATION FOR THIS SESSION IS FULL. Please see the listing for the orientation on April 13. Please join us this Wednesday as six Teen Institute youth photographers give their first artist talks at the Print Room beginning at 6:30pm. Come support our arts mastery students and hear about their motivation and process in creating their art. This is a FREE all ages event. This is the first in a series of artist talks that will showcase Teen Institute students in the coming months! The George Gund Foundation & The Char and Chuck Fowler Family Foundation for their generous support of this Arts Mastery Program in Photography. Cleveland Print Room is pleased to have Jamaica-born, New York City-based photojournalist Ruddy Roye back in town this February to debut his series, When Living Is A Protest and talk about his work. "However, this life is not without its scars--memories and vestiges of the toll 'the struggle' had on a race of people. In 2015, I walk around Brooklyn, Mississippi, Memphis, Manhattan and Ferguson reading tales of those living is a testimony to this ongoing struggle." Ruddy Roye’s visit is made possible by the generous support from the Ohio Arts Council, Cleveland Foundation, The Char and Chuck Fowler Family Foundation, The Callahan Foundation, and The George Gund Foundation. Food to follow. Join us for the opening reception of this show at the Cleveland Print Room on Friday, February 22, from 5 to 9 pm. FEBRUARY 9TH ORIENTATION IS FULL. Please check out our other dates for available orientations. SAVE THE DATE: The Cleveland Print Room returns to Mahall’s 20 Lanes for our annual fundraiser. Join us for bowling, bagels, and brew! $25 a ticket gets you trips to our bagel and coffee bar. Stay tuned for more information. This show is open exclusively to current and new members of the Cleveland Print Room. This juried show will be exhibited at University Hospital’s Trudy Wiesenberger Gallery. The jurors are artist Hilary Gent, owner of Hedge Gallery and Steven D. Standley, Chief Administrative Officer, University Hospitals Health System, Inc. The opening reception for the show will be Thursday, January 24 from 5 to 7pm. Information on how to enter here. Please join us for the opening reception for Gimme Shelter, FREE and open to the public, from 5-8pm, on Friday, January 11. All members may submit up to four original photographic works for this exhibition. Non-members who are interested in participating in this special UH exhibition may join at our standard rates (Individual: $35; Student: $20; Individual+1: $50; Family: $75; Friend of CPR: $100; CPR Sponsor: $250) when submitting online. There is a $15 entry fee for each work entered. Due to the large gallery space with a high ceiling atrium like setting, larger format photo submissions are encouraged. Entries must be received by midnight, Monday, December 10. Artists who have had work accepted into the show will be notified on December 12. · No work can be more than 4” from the wall and cannot weigh more than 75lbs. · Work should preferably be for sale (a 40% commission will be retained from work sold). Drop accepted work off at Cleveland Print Room Sunday, January 13 from 12 to 4pm, or Monday, January 14 from 4 to 8pm. 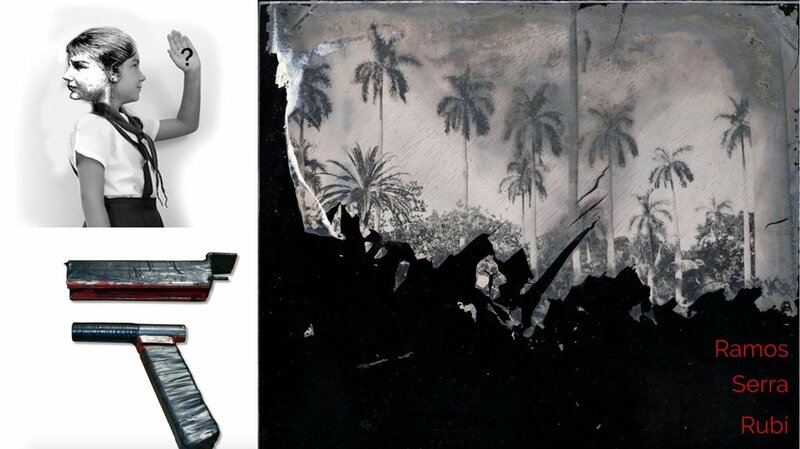 In this popular workshop, you will learn the art of making Polaroid transfers and lifts. A Polaroid lift (or emulsion transfer) is when the emulsion layer is removed from a sheet of instant film and then transferred to a different surface. Class participants can take turns with a Polaroid Land camera to turn these photos into effective lifts of their own artwork. We will also be using the Impossible Project Lab so that you can also make transfers using images from your smart phone. 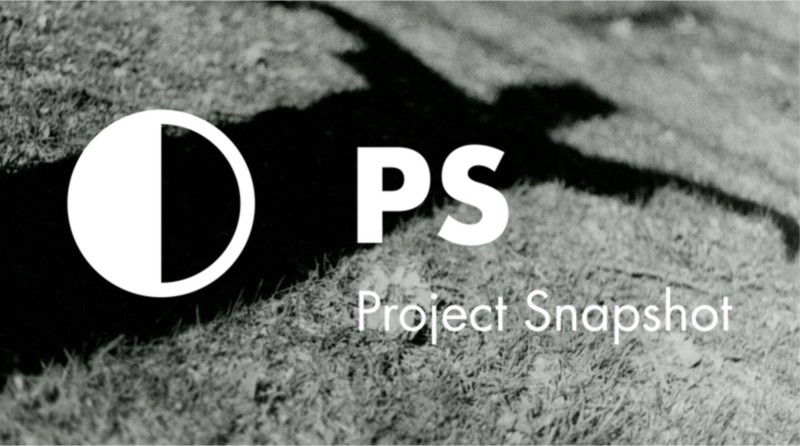 With the Impossible Project Lab, we will be developing real photos from your smartphone screen. By downloading the free Impossible app, you will be able to connect your device to the Instant Lab Universal, so you can make real photos step-by-step. Once your real instant photo is ready, use the App’s built-in scanner to transfer it onto your digital device and have it transfer in physical form to an actual Polaroid photograph! The Instant Lab Universal works on devices with a high-resolution display (approx. 300 PPI - pixels per inch) that are running Apple iOS 8 and up, or Android 4.0.3 (Ice Cream Sandwich) and up. Once we have the images from the Lab or Polaroid camera you will be shown the proper steps to remove your artwork from its film backing and transfer it to a solid surface. We will have mugs, ornaments, and watercolor paper to use, but please feel free to bring one object/material along if you have something that you would like to personally adhere the lift to. This is a great opportunity to make unique, handmade gifts for the coming holidays! The cost of the workshop is $45 for members and $50 for non-members. You will receive four lifts with a $5 cost for each additional transfer. This show is open exclusively to current members of the Cleveland Print Room. This is a free, non-juried exhibition to showcase the work of our valued members. We will hang submissions from our members in a lively, festive salon-style show that is truly a feast for the eyes! The works represented will come from a vast array of styles and photographic techniques; we again expect anything from 35mm B&W to 19th-century collodion, Cyanotype, VanDyke Brown, and salt-print techniques to photogravure, pinhole, and the latest museum-quality digital prints, plus everything in between. Our members are known for their alternative process works. There will be something for everyone! Join us at our opening reception on Friday, November 30, from 5PM to 8PM. The exhibition will be up through December 15, including both Saturday and Sunday December 1 & 2 during the ArtCraft Building Holiday Sale. The Cleveland Print Room is bringing the historic process of wet plate collodion tintype/ambrotype portraiture back to Cleveland by popular demand! Local artists Greg Martin and Matt Beckwith will create photographs for two days only. Cleveland artist/designer Greg Martin will be taking portraits by appointment only. Greg has been practicing the art and craft of wet plate collodion for the past 10 years. His award-winning work has been exhibited in numerous shows throughout Northeast Ohio, and has been featured in the Plain Dealer. Cleveland artist Matt Beckwith, who has been working in wet plate collodion for the last ten years, will team up with Martin to create portraits again this year. Portraits for individuals and couples start at just $75. For more information, call Shari at 216 401-5981. Sittings available on Saturday during the hours of 10am to 6pm and Sunday 11am to 5pm and are booked on a first come basis. Feel free to bring in any props or costumes that you wish. Also, you may create or design a still life or spirit picture that Greg can photograph during your appointed time. We are NOW SCHEDULING times for the shoot. If you are interested in setting up session please call at 216 401-5981. Limited availability. Drop-off of Work: Saturday, November 17, noon-5pm; Tuesday & Wednesday, November 20 & 21, noon-6pm; or Saturday, November 24, noon-5pm. 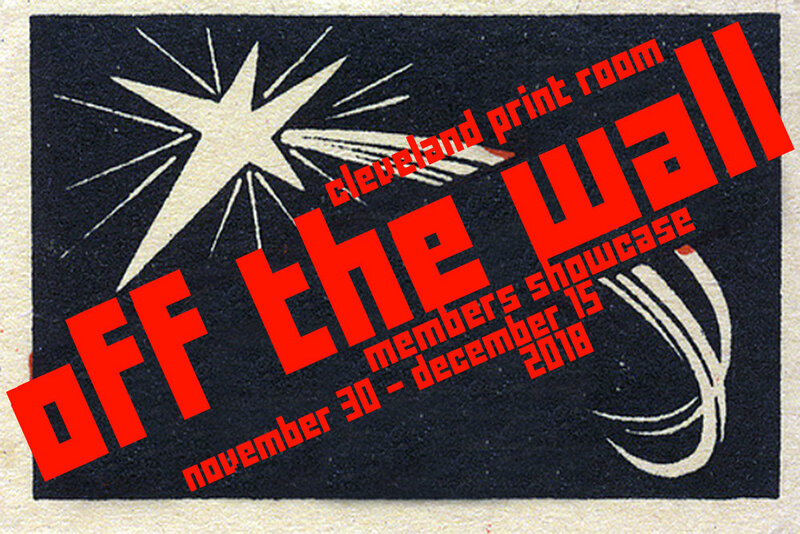 The Cleveland Print Room is seeking member submissions for our 2018 Members Showcase: Off The Wall, opening Friday, November 30 and showing through Saturday, December 15, highlighting the work of the valued members of our organization. This show is open exclusively to current members of the Cleveland Print Room. This is a free, non-juried exhibition to showcase our members’ work. All members may submit up to two original photographic works for this exhibition. Non-members who are interested in participating in the Members Showcase may join at our standard membership rates (Individual: $35; Student: $20; Individual+one: $50; Family: $75; Friend of CPR: $100; CPR Sponsor: $250) when dropping off work for the show. The show title explains the manner in which the work will be sold during the exhibit. Each member is asked to submit one or two photographic pieces. At least one will be hung and when one work sells, the second piece will be added to the gallery walls for sale. The weekend of the opening is the ArtCraft Building Holiday Sale. During this once-a-year event, we open our doors at the Print Room to over one thousand art patrons hoping to find that special piece for the holidays. Thus, we will be selling members’ work directly off the walls. Opening Night Reception: Friday, November 30, 2018, 5-8 pm. Pick up unsold work: Saturday, December 15, 12 to 5 pm OR on Sunday, December 16, 12 to 3pm. ALL WORK MUST BE PICKED UP BY DECEMBER 16, 2018. Cleveland Print Room will not be responsible for any work left after that date. All current members of the Cleveland Print Room are eligible to submit two original photographs for this exhibition. • Please complete Members Showcase Entry Forms, or fill one out at time of drop-off. • One half of the form must be attached to your work and the other handed to the CPR representative upon drop-off. • Each entrant must sign & date a CPR Artist’s Agreement form. • Participants may join or renew upon drop-off if they do not have a current membership and will be allowed at that time to submit their work for this exhibition. Please be prepared to complete a membership form and provide a check or credit card information for membership fee if this is the case. • Have been created within the last 5 years. • *****All works must be properly framed and securely wired, ready for hanging via wire ONLY. ***** Please also submit your work in some kind of protective enclosure – for example, bubblewrap or brown wrapping paper. • Cannot exceed 24” x 24” including framing and mounting. • Be clearly labeled with a completed and attached Members Showcase Entry Form. • Preferably be for sale. CPR will retain 30% commission from works sold. Artists’ checks will be mailed within 30 days after the exhibition closes. • Must arrive no later than 5 p.m. on Saturday, November 24, 2018. Please contact Shari with any issues about these requirements. • Unsold work MUST BE PICKED UP during designated pick-up days: Saturday, December 15, 2018, 12 to 5 pm OR on Tuesday, January 8 through Thursday, January 10, 2019, 12 to 6pm. ALL WORK MUST BE PICKED UP BY JANUARY 10, 2019. • All works not retrieved by January 10, 2019 are subject to disposal at the discretion of CPR including public auction or donation. If you have any questions or need further assistance please contact Shari at info@clevelandprintroom.com. If you are unsure about the status of your membership or if you have any questions about the benefits of CPR membership or joining, again please contact Shari at info@clevelandprintroom.com. AIR/connect exchange artists, Anna Tararova and April Bleakney lead a talk about their residency at Dundee Contemporary Arts Print Shoppe in Scotland. Join us for this evening talk as we hear about the work they created in Scotland, their project inspiration during their residencies, and Scottish culture. The pop-up exhibition featuring April and Anna's work will be on display until Saturday, November 25 at 5pm. Registration ends Wednesday, Oct 31! The Morgan Conservatory & Cleveland Print Room are hosting our first-ever workshop collaboration! Pull sheets of handmade paper at the Morgan (Sat/Sun November 3-4) and bring them to the Print Room (Sat, November 10) to create photographic images using the Van Dyke Brown process. Students may sign up for an individual workshop or for both. Paper Making or BOTH classes register Here. Vandyke Brown class ONLY register Here. In this two-day workshop, you will learn every step of the papermaking process as well as painting with many thin layers of finely beaten cotton pulp. You will pigment fiber and form sheets of abaca as the canvas for pulp paintings. With the sheet still in the mould and deckle, you will paint and stencil using colored cotton mixed with formation aid, overlapping and mixing pigmented fiber to create atmospheric, watercolor-like papers as well as graphic artworks. No prior experience required. The Van Dyke Brown process, invented in 1889, yields a tonal, rich brown print when contact printed using a UV light source. Students will learn to coat papers as well as exposing, processing, and manipulation of prints in this one day workshop. Negatives printed on transparency paper are typically used to create work. Further manipulation can be achieved by incorporating various mediums like watercolor, pastel, or colored pencil once the prints are dry. Registered students should email emilie@clevelandprintroom.com any images (up to 6) that they would like as negatives. Students should bring objects (think photogram) and any additional negatives. In addition, text may be incorporated into prints through handwriting or printed text on transparency paper. Papers, chemistry and transparencies (six images per student) will be included in the cost of the class. Watercolors, colored pencils and pastels will also be available for student use. Please RSVP to info@clevelandprintroom.com or here. 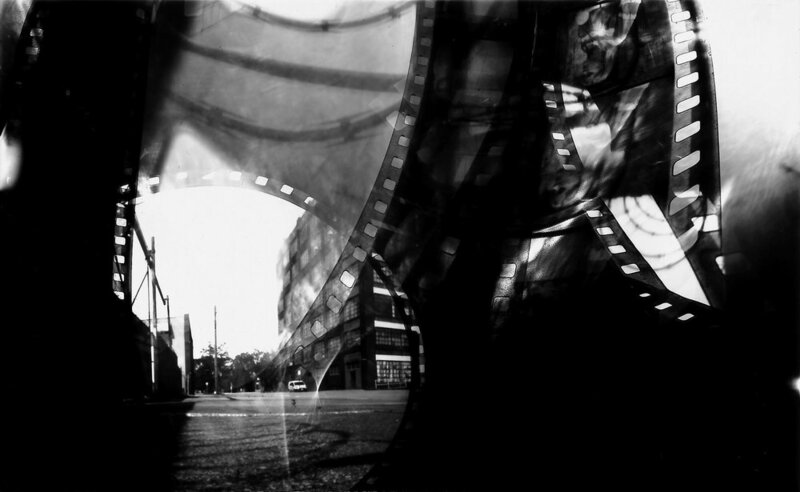 Our pinhole workshop returns! In this workshop you'll build pinhole cameras, take photographs with them, then develop and print the photos in the darkroom. Instruction by Cleveland artist Michael Loderstedt. No photographic experience necessary -- All equipment & materials will be supplied. Limited space available for this workshop -- please email emilie@clevelandprintroom.com with any questions. 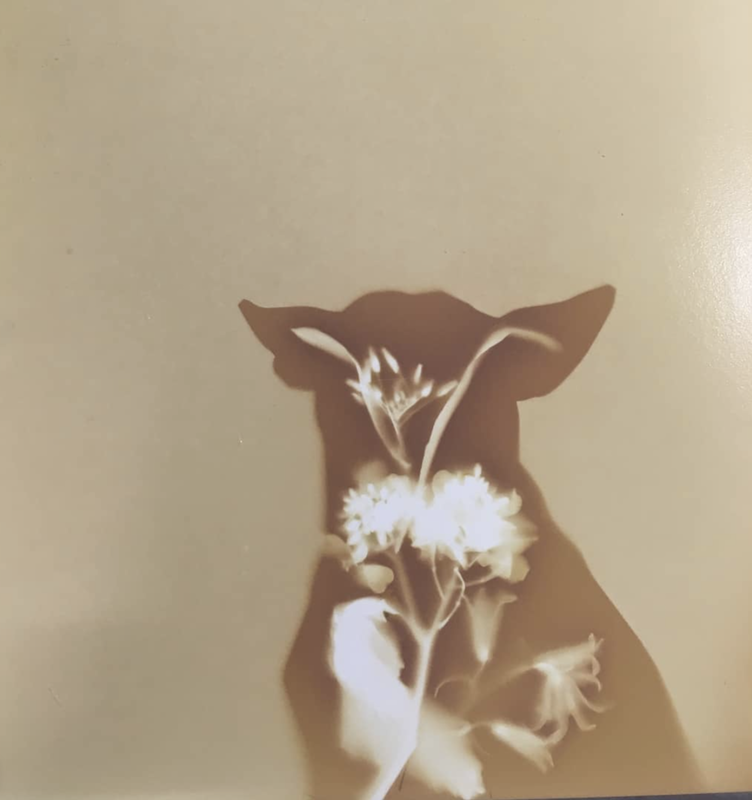 Lumen Prints are photograms created by placing plants directly on photographic paper and placing in the sun to develop. The colors in the resulting print depend on the plant, humidity, ambient temperature, duration and intensity of the sunlight as well as the type of paper used. You will have an opportunity to try several different papers and learn how to make the prints permanent once they have been exposed. Some botanical materials will be supplied by the instructor, but students are encouraged to bring plants, flowers, negatives/transparecies and any other materials they wish to experiment with along to use in the class. Found foliage and leaves would make wonderful fall-themed artwork. This is an all ages workshop. Artist, Michael Loderstedt, holds a BFA in Printmaking from East Carolina University and an MFA from Kent State University. CPR’s new Operations Assistant for the Cleveland Print Room, Michael Loderstedt is a Professor Emeritus of Kent State University where he also served as their Interim Director of the School of Art. Join us as we welcome back Creative Fusion Alumni Sandra Ramos, Pilar Rubi and Pablo Serra to the Cleveland Print Room. During the Fall of 2014, Chilean artist, Pablo Serra spent three months in Cleveland, making many new friends during his stay. His culminating exhibition, You Will Find Luck When You Go Home featured multiple mediums. He will speak about his work and his new series, Ancien Regime which features pieces created from photographic source material of weapons that were handmade in prisons in Chile. For Cuban artist Sandra Ramos, art can be leveraged as an act of resistance and a form or free expression in places where the state controls the press and access to information. Ramos said, "For me it has been important to my art to communicate those things that usually you cannot see in the official press or in the official information in Cuba." CPR hosted Ramos in Spring and Fall of 2017 and are excited to have her back to talk about her work. Bolivian-born, Cuba-based photographer Pilar Rubi will visit Cleveland for the third time since her initial visit in Spring 2017. Rubi, whose stunning B&W photographs capture the essence of Cuban daily life has been focusing on wet plate collodion and instant photography as of late. Connecting with local photographers, Greg Martin and Matthew Beckwith to create images, we look forward to seeing Pilar’s new work. Cleveland Print Room's Teen Institute Presents an exhibition of Instant Foto (IF) and Visual Storytelling in the Digital Age on Thursday, August 9 from 6 to 8p.m. This show features work by students from the City of Cleveland's Collinwood Recreation Center and Cudell Fine Arts, along with Lincoln West High School students at Cleveland’s premiere center for the photographic arts. The show will feature new student work from CPR’s summer programming. Teen Institute classes focus on mastery of photographic skills, techniques, and concepts, along with visual literacy as its base. Students' work will be displayed and available for sale. Thanks to the Cleveland Foundation & Fowler Family Foundation for their support. We also appreciate continued sponsorship from Lomography NYC and Unique Photo.